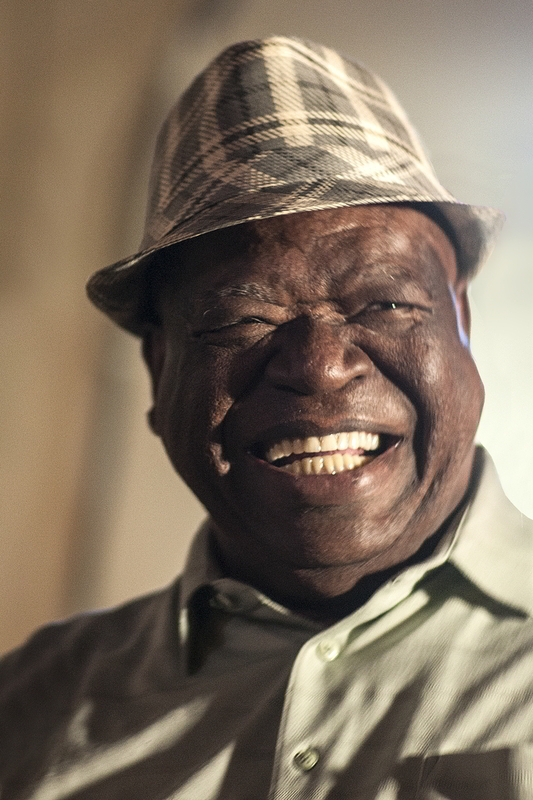 Al “Hurricane” Spears is a working Chicago blues musician currently playing guitar with “The Hurricane Project”. 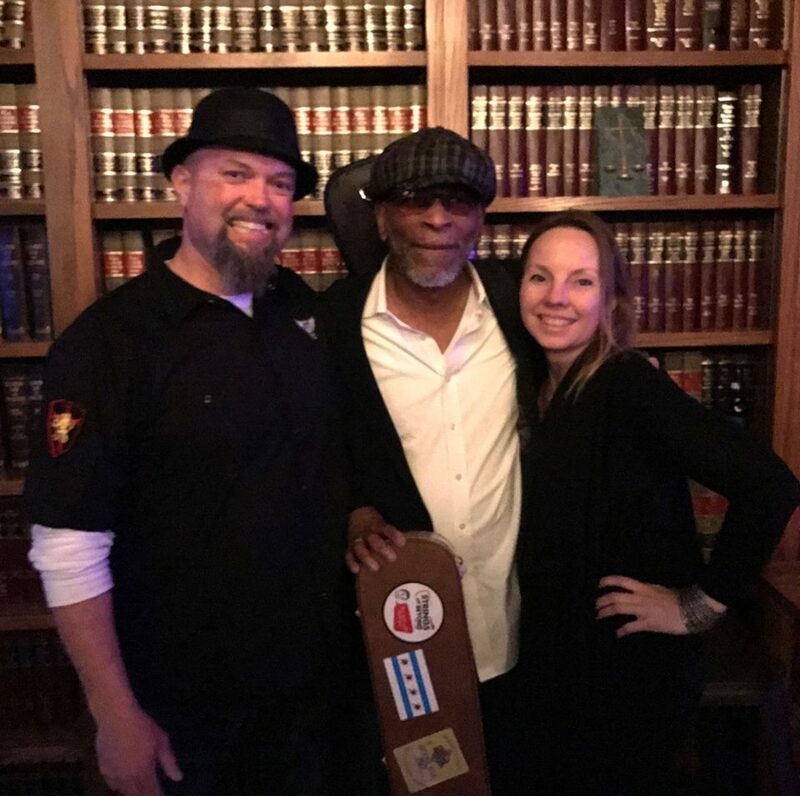 Whether backing up another local musician or playing in a band, he can often be spotted at various Chicago Blues establishments like Buddy Guy’s Legends, Kingston Mines and Rosa’s Lounge delivering a slow blues groove or an explosive thundering guitar solo. Al Spears has earned the respect of his fellow musicians as a friendly, reliable craftsman who knows his way around the fret board. 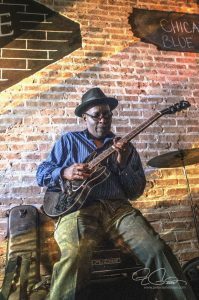 Being a Chicago Blues musician carries the responsibility of continuing the legacy of some of the worlds renowned Blues artists, and “Hurricane” is a blues guitarist who embraces this legacy by playing promoting the Blues art form wherever he can. 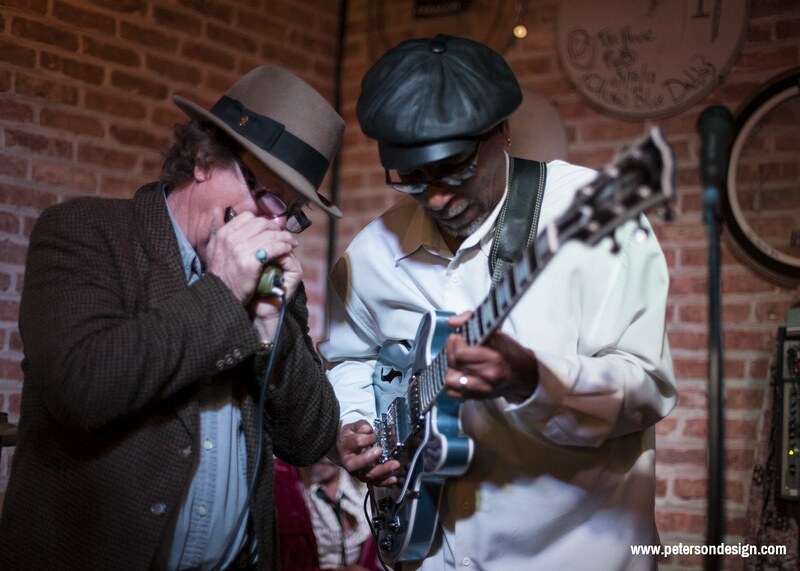 For Hurricane, the blues is a way of life. He began listening to old 78s as an early child. He picked the guitar in the early 90s, and just kept playing. 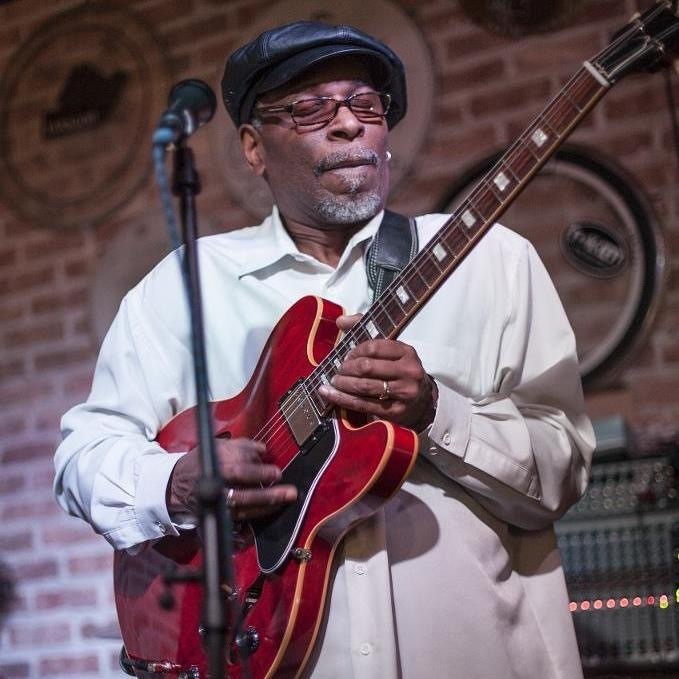 He began playing some of the local blues jams at Carter’s Place in Lockport, and the Harlem Avenue Lounge in Berwyn after working his full time job. 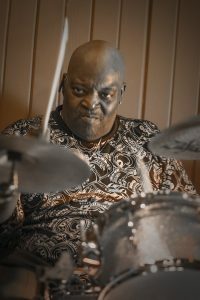 He’s developed a strong style that could be described as a mixture of jazz and blues with an edge. 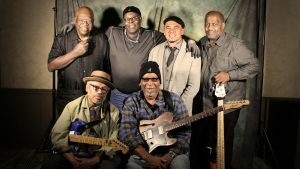 Hurricane has shared the stage with some of Chicago’s finest musicians, including Toronzo Cannon, Lurrie Bell, Mike Wheeler, Billy Branch, Johnnie Drummer, Aron Burton, Jimmy Dawkins, and the father-son combo Lonnie and Ronnie Baker-Brooks. Hurricane is a family man, raised on corn bread, collard greens and black eyed peas. He recently retired from his fortune 500 job, and is enjoying life as a Chicago blues musician. 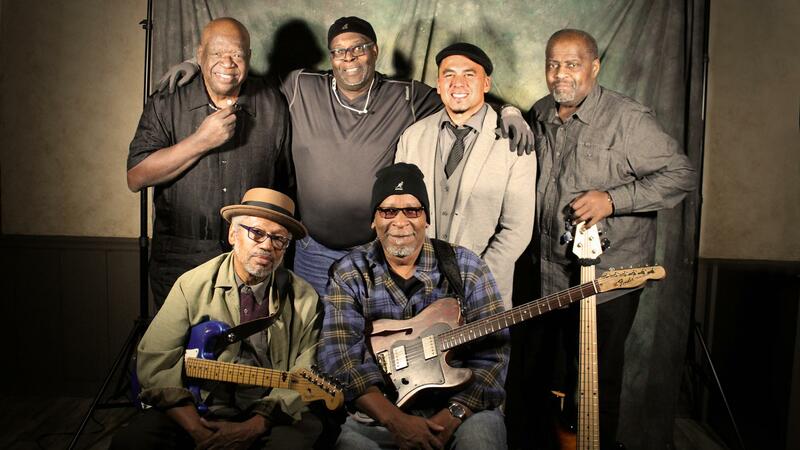 Hurricane works hard to keep the blues art form alive. He operated three of the longest running blues jams in the western suburbs, in an effort to keep this great music in front of the public. He still plays quite a few shows in the Chicago area. 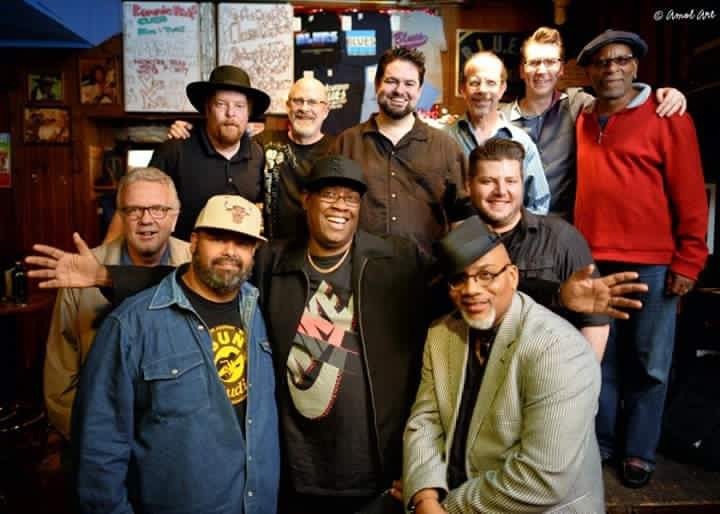 Hurricane wants to give special thanks to his wonderful wife Donna, Michael Wheeler, Toronzo Cannon, Chico Banks (RIP), Twist Ferguson, Dave Riley, Lindsey Alexander, Billy Branch, Carl Weathersby, Carlos Johnson, Third Coast Guitars, Glen Gerini, Doug Horan, Jeff Ruffin, Gibson Custom Guitars, and hosts of friends who helped make the music possible. Herman Hines is conceivably one of the best kept secrets on the Chicago music scene. He’s very humble, kind approachable gentleman who always finds time to chat. But with a microphone in his hand and he transforms into a charismatic showman with a penetrating voice that needs to be heard. 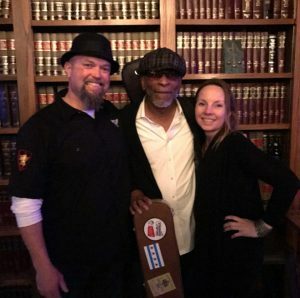 Discovered in a Joliet karaoke bar in 2001, Hines has transitioned into a second career delivering soulful blues throughout the Chicagoland entertainment scene. Prior to that he spent three decades working in the Illinois department of corrections. Hines hails from Brownsville Tennessee and was raised on a sharecropping farm and is also a proud veteran of the United States Army. Herman has shared the stage with such notable performers as Billy Branch, Dave Spector and Toronzo Cannon and can regularly be found on the popular “Legendary Rhythm and Blues Cruises”. 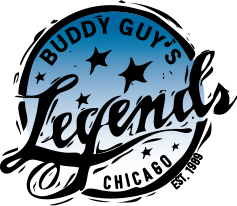 Herman has performed in many of the famous Chicago area venues including Buddy Guys Legends, Rosa’s Lounge, Fitzgeralds and Frankie’s Blue Room. 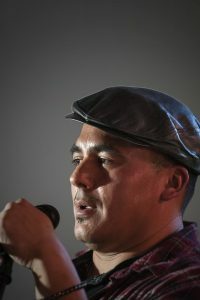 Hines has performed as far east as New York and as far west as the Mojo Lounge and Murphy’s Law in California. Herman has been influenced by such blues legends as BB King, Muddy Waters, Robert Cray, Son Seals and Bobby Bland. 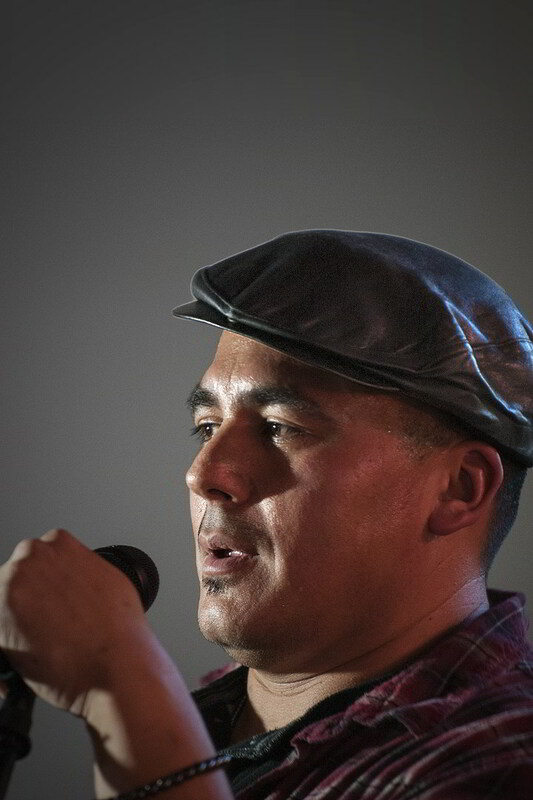 Tony “Mississippi Sax” Medina is a blues artist from the western suburbs of Chicago. He began to play the harmonica at the age of 15 and quickly developed a passion for blues music. 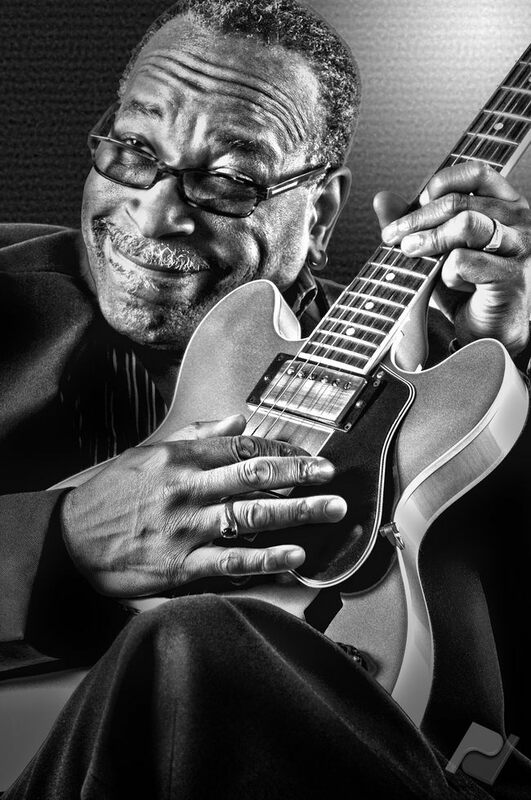 His inspiration comes from artists such as: Sonny Boy Williamson 1 & 2, Little Walter, James Cotton, Billy Branch, Rod Piazza, Bruce Willis, Paul Butterfield, Junior Wells, Charlie Musselwhite, amongst many others. 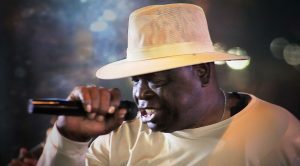 Tony has been lead front-man to Fourth Street Blues Band and Maxwell Mojo Blues Band, and currently second-man in The Hurricane Project. 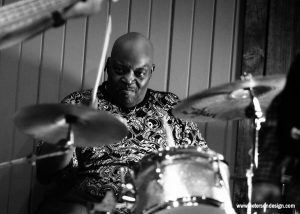 Over the years Tony has shared the stage with the following artists: Toronzo Cannon, Mike Wheeler, Billy Branch, Clement Brashir, L.V. Banks, Pistol Pete, J. 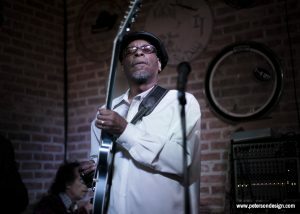 B. Ritchie, Twist Ferguson, Herman Hines, and Doug Lee. 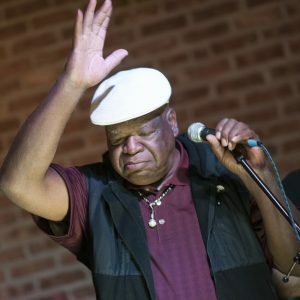 He has been a special guest to Sam Cockrell at Kingston Mines, Tom Holland and the Shuffle Kings, as well as to Al Spears and Twist and the Groove Machine. I am a hired gun in this music in the burbs set. I gel with most bands that I do gig with out this way. I grew up in the streets of Chicago, and music was my way out. I learned my craft from some of the best in the city. In 2009 I was known as one of the best jobbing drummers by the Chicago Blues News publication. My focus is to keep time, I am the anchor that holds the whole thing together. Ask any bass player. I miss the the old crew from back in the day. 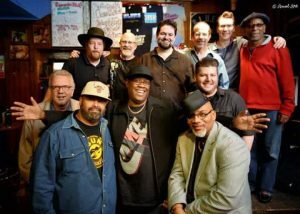 Over the years I’ve performed with Billy Branch & the Sons of Blues, Willie Dixon (my first and last overseas gig), Jo Jo Murray and Top Flight Band. Currently I’m playing with Twist and the Groove machine and the Hurricane project. 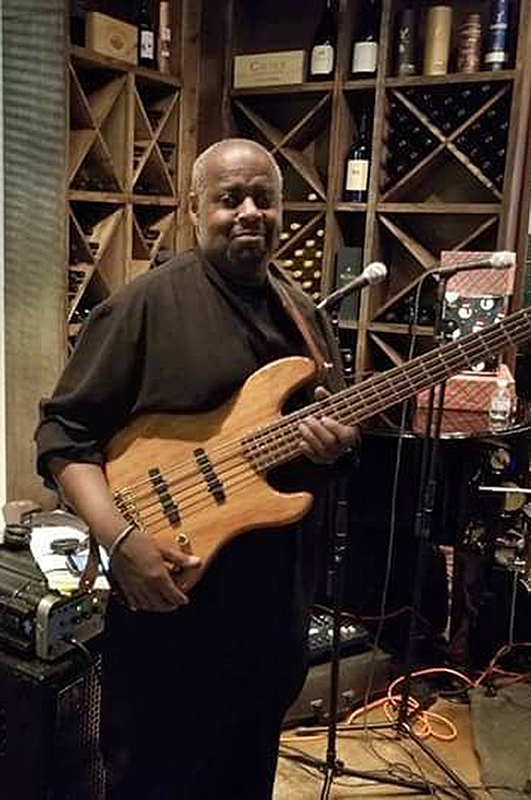 Roosevelt Johnson has been playing and studying music since early childhood years. He was Musicial Director and founder of his own band: “The Main Attraction Band” throughout high school. 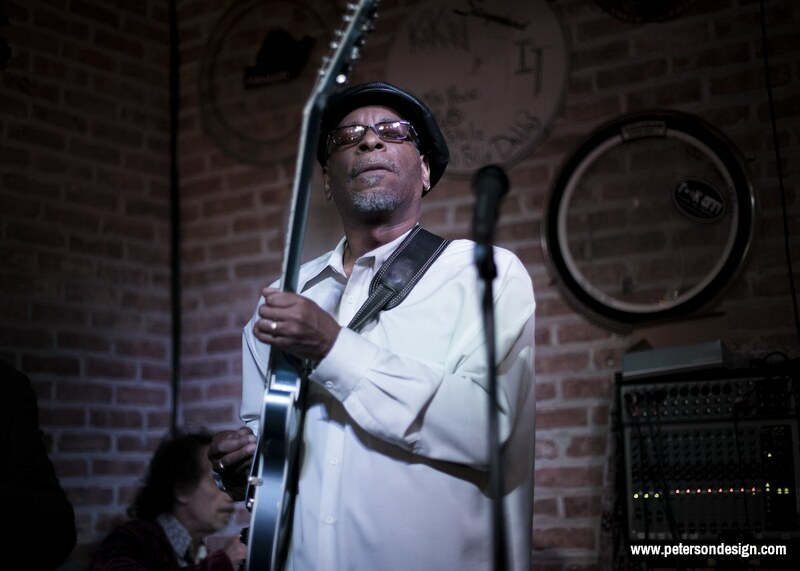 His musical influences include Louis Johnson, Larry Graham, Abraham Laboriel and Marcus Miller. Roosevelt is a lifelong student of music. 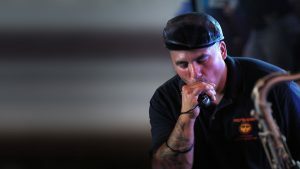 He listens and plays all styles of music and loves the lights and live stage performances and pleasing the audience.